Long story short, I have been wanting a scaleless corn for some time. About 8 months ago, I convinced Katie to let me get one more snake. She caved and I decided I wanted something different, a challenge, and we ended up with Behira, our now 2 year old female Ghost BCI. I have no regrets. She's an amazing snake! I adore her. However, I have room in my Boaphile 5 floor condo for one more animal to fit into a 3X2' enclosure. I got back to thinking about another corn. Katie said okay, as long as it was an animal worth getting and being our last (out of room and leeway from Katie - Behira was supposed to be the last). Yesterday, I found that amazing animal. Today, I officially paid for her, although because of logistics and scheduling, I probably won't receive her until the end of June. Meet Solana (Katie named her and it means Sun in Spanish). She's 3 months old now and is a Scaleless Sunglow Motley Corn, likely the first for sale in the US. 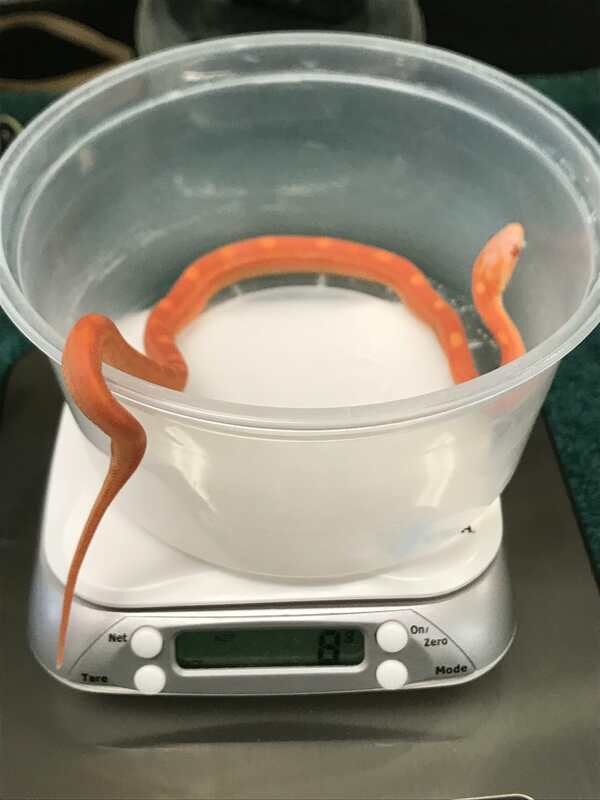 Congradulations on finally getting the scaleless that you wanted! I saw her posted by Don and she is stunning. Her colors are real vibrant. Explains the name. Cool pick up enjoy. 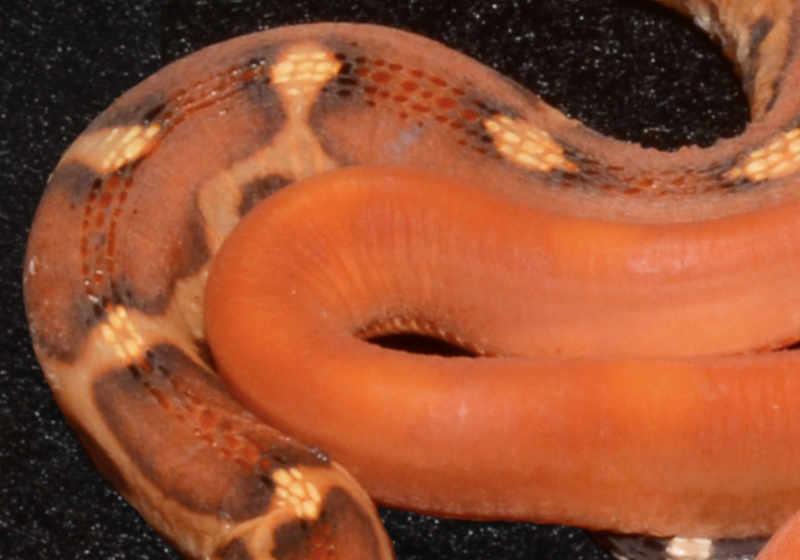 Please update now and then on her cause I don't see older scaleless corns enough. 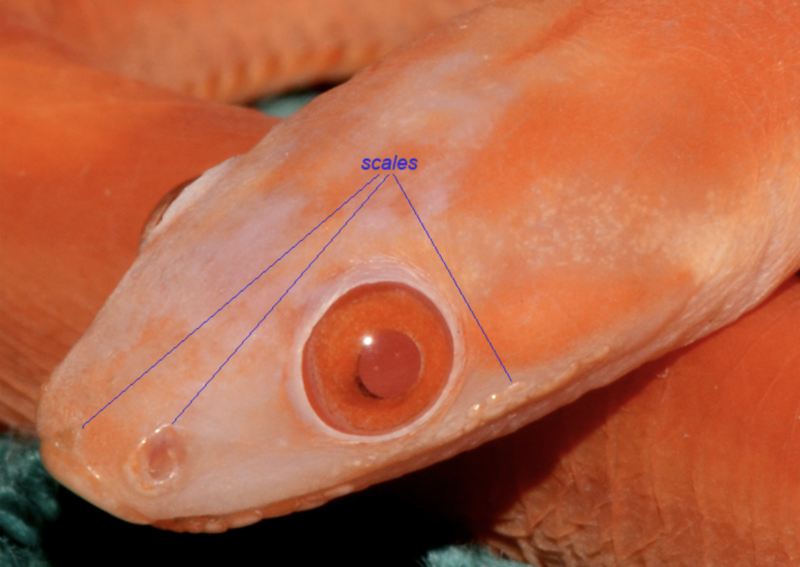 Also to all the people who don't like scaleless just try to look at them as land eels. Last edited by EDR; 06-07-2018 at 09:05 AM. 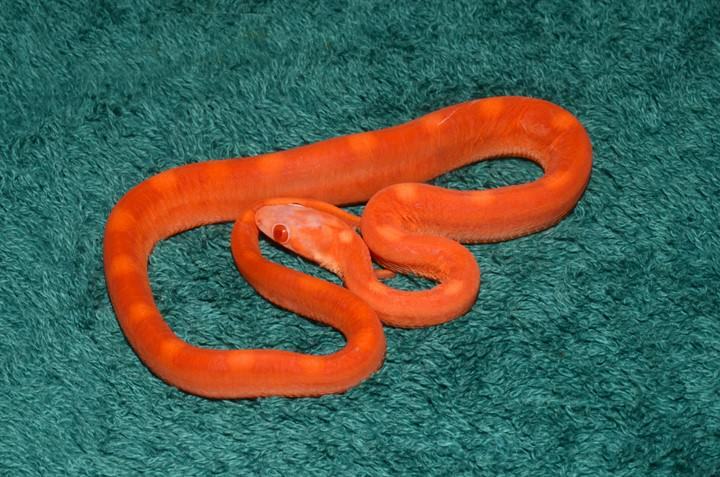 Very nice pick up , can not wait to see her with some size, and don't forget to post pictures of her shed that be neat to see. As soon as I saw her, showed her to Katie, and found out she is chill and tame already, I couldn't let her get away. She looks incredible and supposedly has a personality to match. Land Eels, love it! Luckily, I love to take pics and post, so you all will watch her grow! Yes, I will post many updates! Forgot about the shed; it's got to be really cool. Agreed. They need some scales - mouth, belly, nose, etc. to protect the soft skin and the belly scales to allow movement. 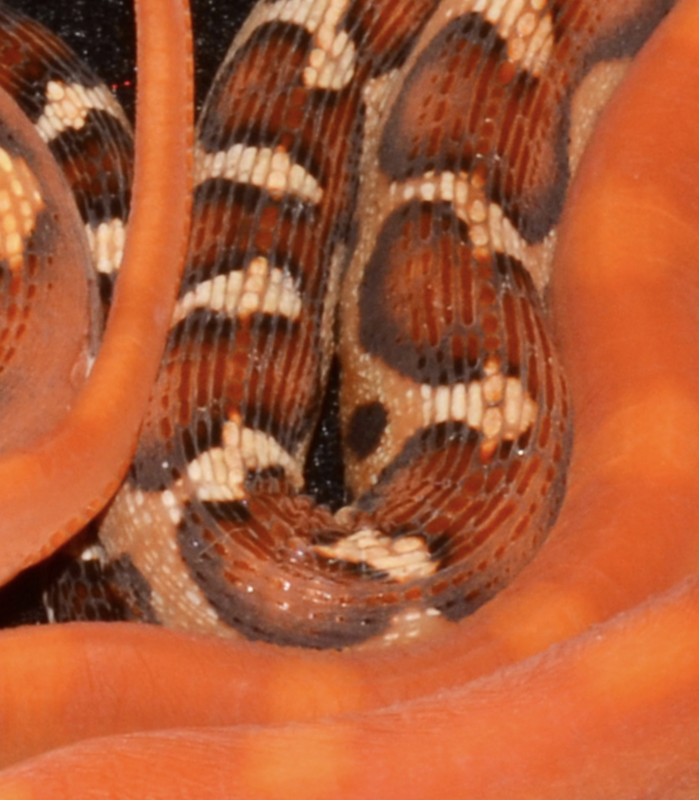 They move just like other corns because they do have belly scales. They would be helpless to move well without them. Incredible, congratulations and best of luck. Nice way to finish your collection......for now. Lmao, seriously way beautiful. Bet you can’t wait to get her. I cannot wait, but I need to. I am just glad I got her. I called immediately and put her on hold. Needless to say, other inquiries came in fast. I wasn't letting her get away. Need to have time to devote to her and Katie has a friend staying with us today through the 19th. It's going to be crazy as I am still working. Don was happy to hold her for a few weeks. It's probably for the best. 1. Set up a 10G or so Quarantine Tank. 2. Get it dialed in. 4. Make sure I have tiny tiny hides and a small water bowl. I want everything to be ready when she gets her. Not taking any risks. Regarding the collection, it's complete. I have every animal I've realistically wanted and it's a diverse collection. 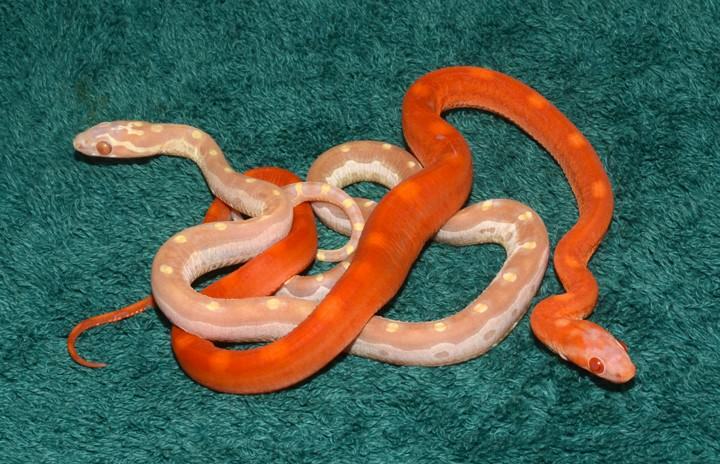 0.1 - Albino Spider BP: Shayna - Have wanted an albino BP since I was a kid - and she is awesome. 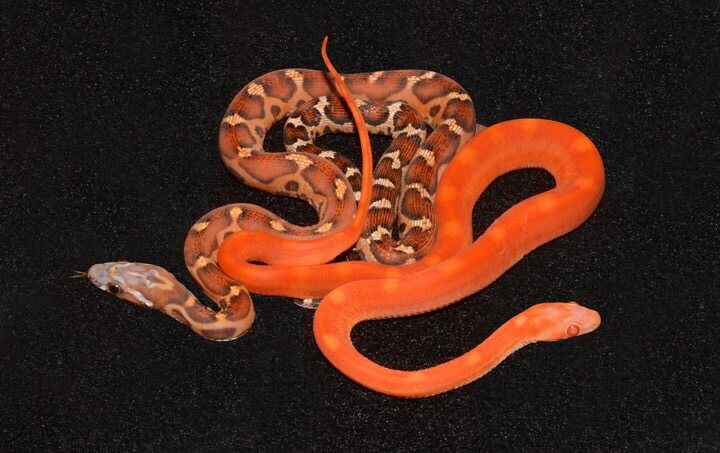 0.1 - Ghost BCI: Behira - Amazing animal; beautiful and brave and docile. 0.0.1 - Northern Blue Tongue Skink: Frank - Awesome animal - amazing personality. 0.3 - Leopard Geckos, all different and beautiful morphs - Different personalities, but all fun and easy and pretty animals. 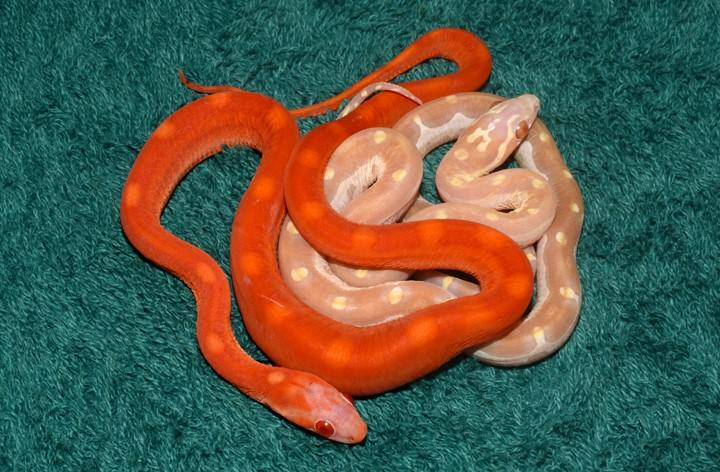 0.1 - SCALELESS Sunglow Motley Corn - Can't wait!!!!!!!! Looks like a good collection to me! Last edited by dakski; 06-07-2018 at 11:13 AM. You must be one very excited owner!! aaaaaaaaaaaaaahhhhhhhhhh she's beautiful!!! congrats! what an amazing animal. i can't wait to watch her grow!! !